Given that the hosts have a 2-4 record and the away side has a 1-5 record in the Top 16, you would be forgiven for thinking that this will be a dull affair. However, these teams have already met twice this campaign with the away team winning on either occasion. The hosts may have won in Madrid against their bitter rivals in the Top 16 this season but very little else has gone right for the Catalan club. A home loss is a rare thing for Barcelona in the Top 16 but with one defeat already behind them, they cannot afford another one. This is why facing a team who triumphed in Barcelona back in December has to be a concern for the Barcelona players and fans. There is something not quite right with Barcelona at the moment, even though they do have the players that could spark to life at any point. If Ante Tomic and Justin Doellman play well, you should think the hosts will pull through. 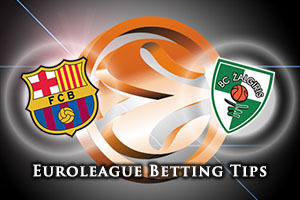 Can Kaunas win twice in Barcelona this season? Kaunas may be having a terrible time in the Top 16 but the win in Barcelona back in December will give them great confidence. The 88-92 win stopped a 15 game losing run to their Catalan opponents and this will be the blueprint for this week’s performance. 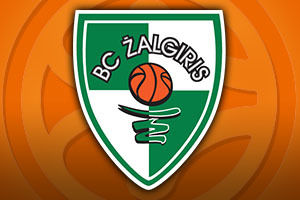 There will be a special return to Barcelona for Zalgiris coach Sarunas Jasikevicius. This will be his first return to Catalonia as a head coach, and given that he helped Barcelona to a Euroleague title in 2003, the clubs first, it is likely that he will receive a very warm welcome from the home fans, at least before the game starts! The hosts are huge favourites, so look to take Zalgiris Kaunas at +16.5, which you can find at odds of 1.90. For the Over/Under market, there is a lot to be said for thinking that there will be points in this match, so you should be looking to go OVER 156.5. This is available at odds of 1.90. Bet Now!